Thione is the only genus of the tribe Thionini Crowson 1952 (Monotominae) that is represented in the New World (Bouchard et al. 2011; Sen Gupta 1988). It is the sister group of Shoguna Lewis 1884. The affinities of these genera to other monotomids are not well-understood. Thione has never been reviewed and species discrimination is currently very difficult. It is likely that current generic concepts of Thionini are artificial, since there are no clear synapomorphies to support either genus. 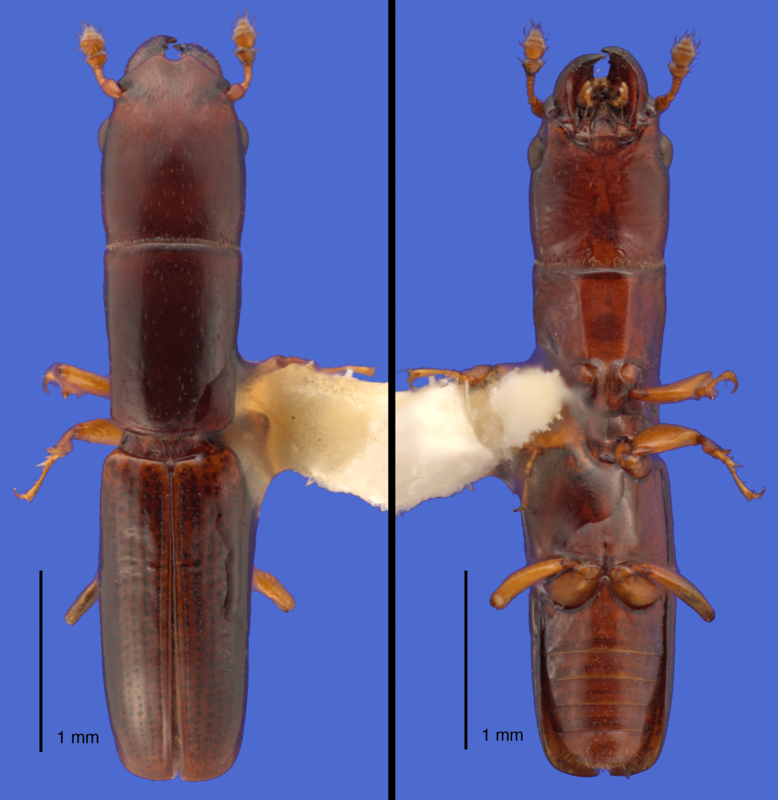 As one of the most distinctive genera of monotomids in the New World, Thione can be easily distinguished from other monotomid genera by the proportionally longer temples, elongate head and pronotum, 5-5-5 tarsi in both sexes, and a two-segmented antennal club. Although the natural history is poorly known, there are several records of Thionini species being found in galleries of Platypodinae and Scolytinae ambrosia beetles (Pakaluk & Ślipiński 1993). It is likely that they prey on the beetles or feed on the ambrosia fungi cultivated by those beetles. Thione has a disjunct Australian and Neotropical distribution. The three species of Thione that have been described from the New World are not well-known, but presumed to be generally distributed in the Neotropics. Thione championi has been recorded as far north as Florida, and is the only representative of this genus in North America (Peck & Thomas 1998).